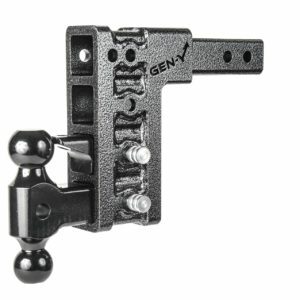 Versatile class V hitch by Gen-Y Hitch. 2″ receiver, 4 position, 7 1/2″ drop or raise. 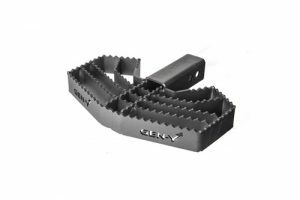 16,000 Lb towing capacity and 2,000 Lb Tongue weight capacity. 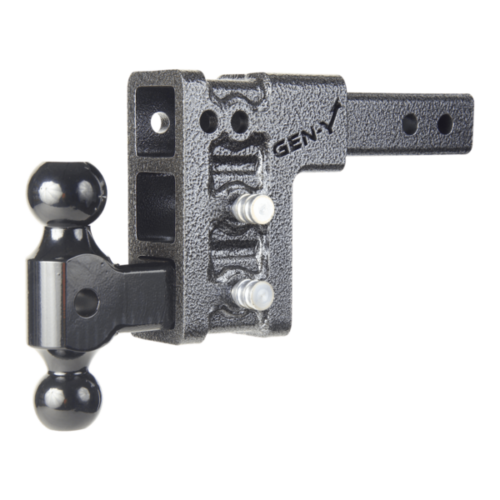 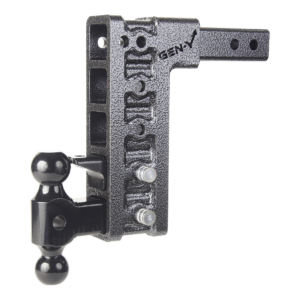 Comes ready with a 2″ and 2 5/16″ Versa Ball, pintle lock and two pins.